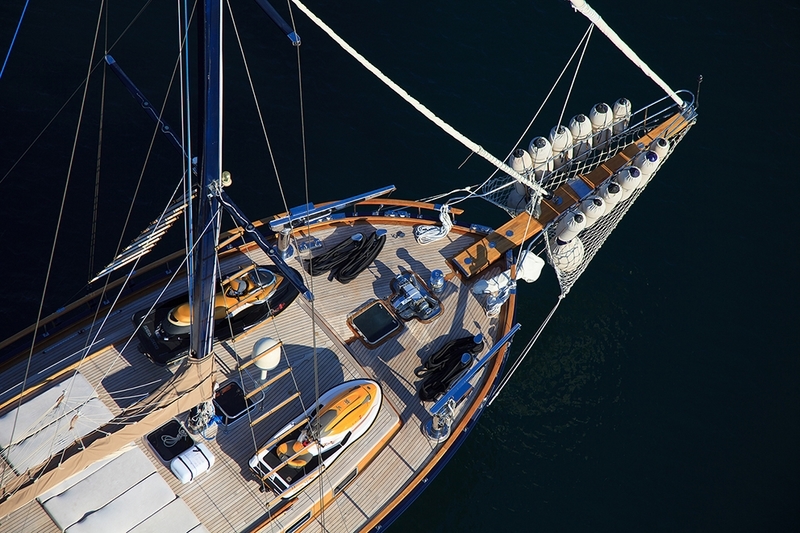 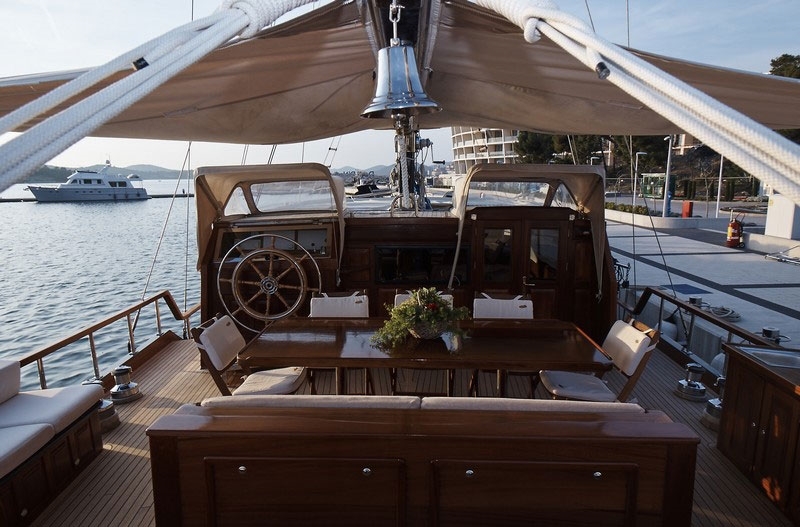 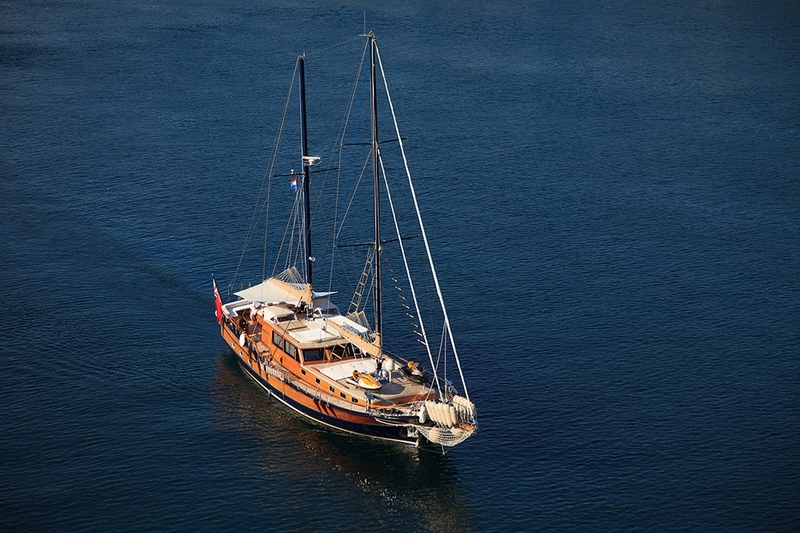 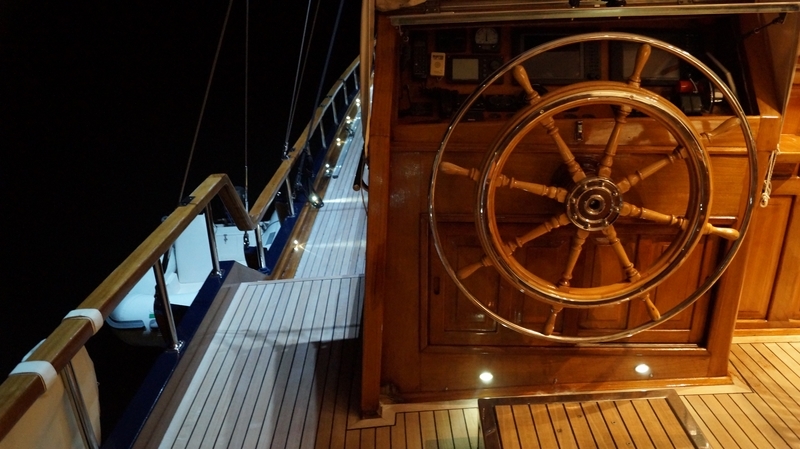 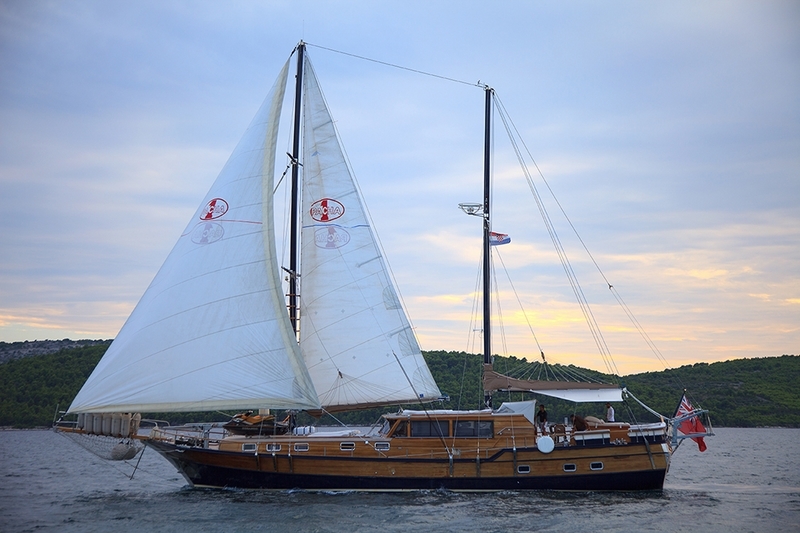 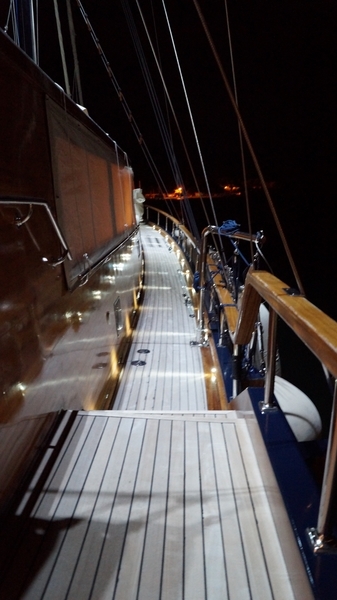 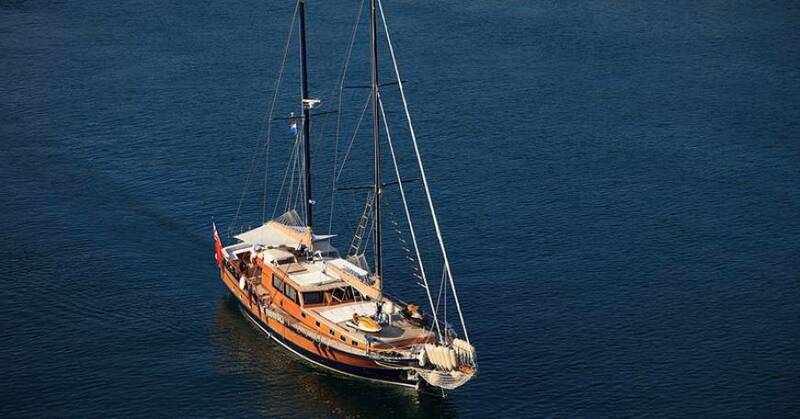 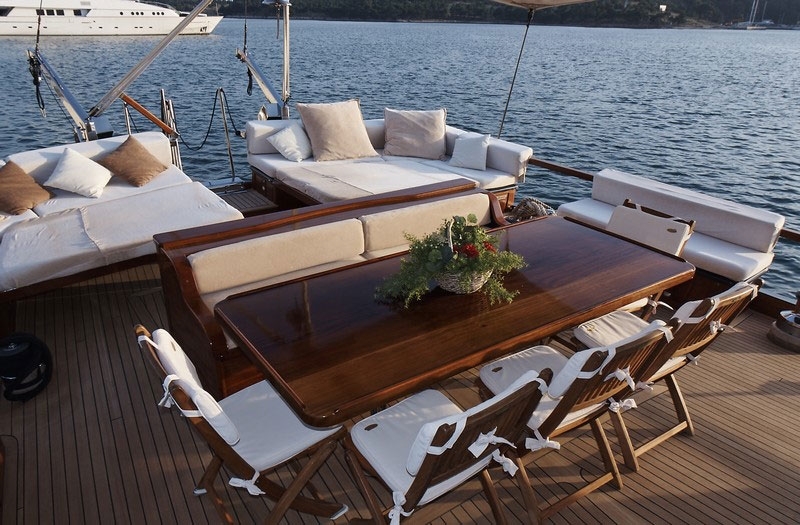 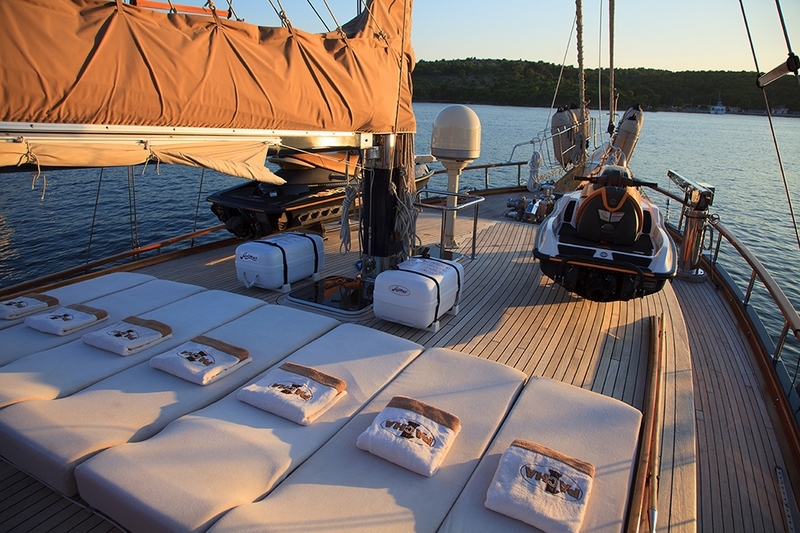 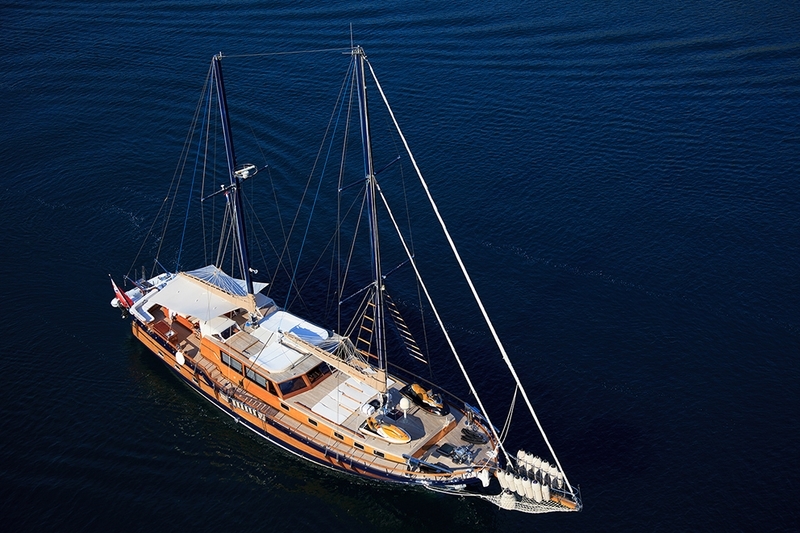 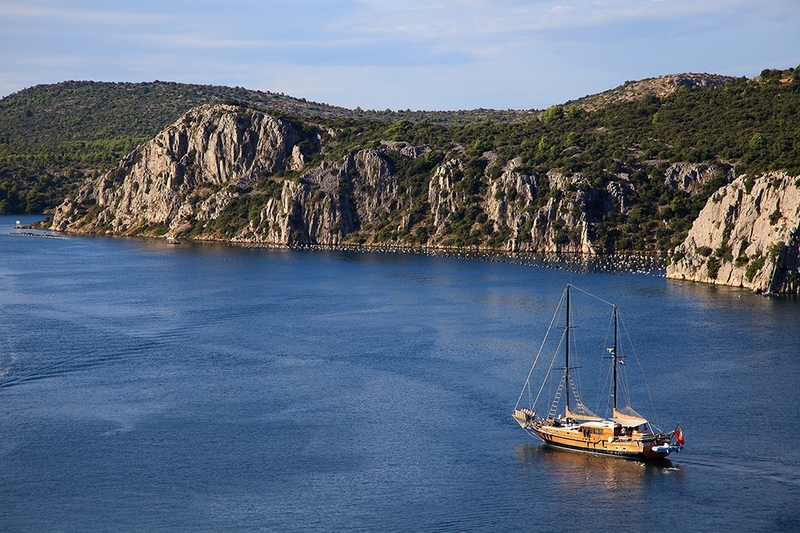 Gulet Pacha is a luxury cruising yacht that can be chartered for a splendid gulet vacation amongst the beautiful coast lines of the Mediterranean. 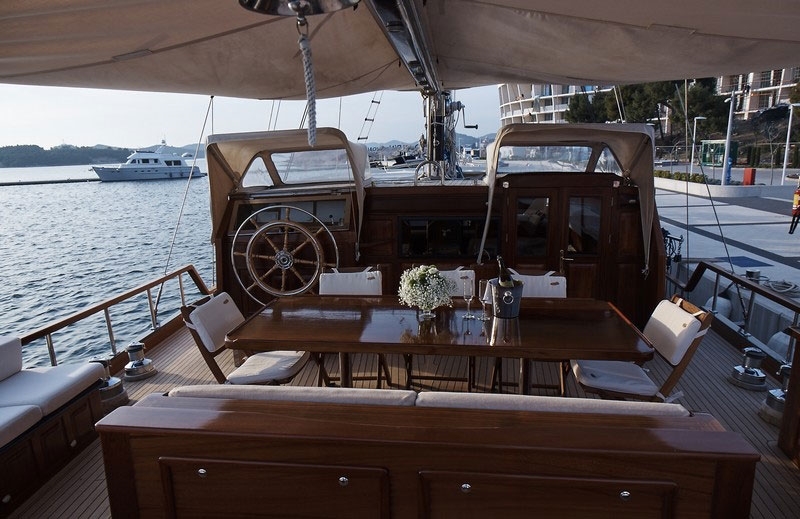 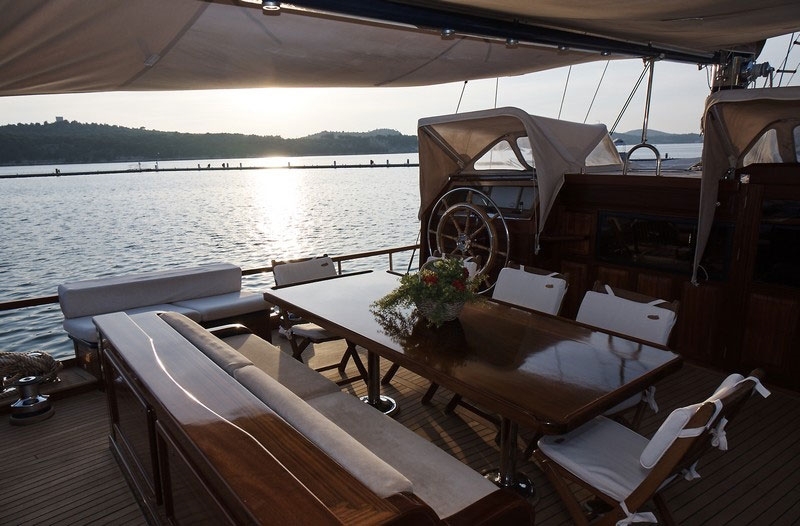 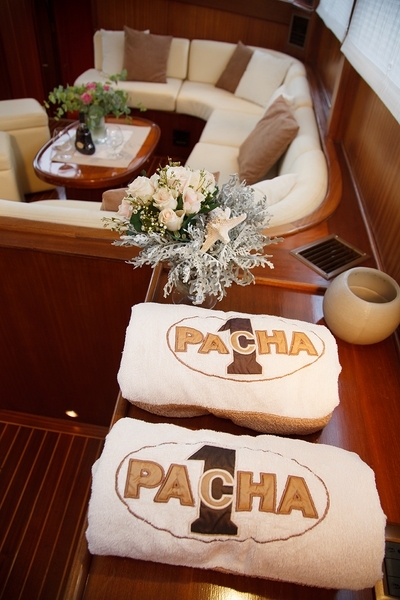 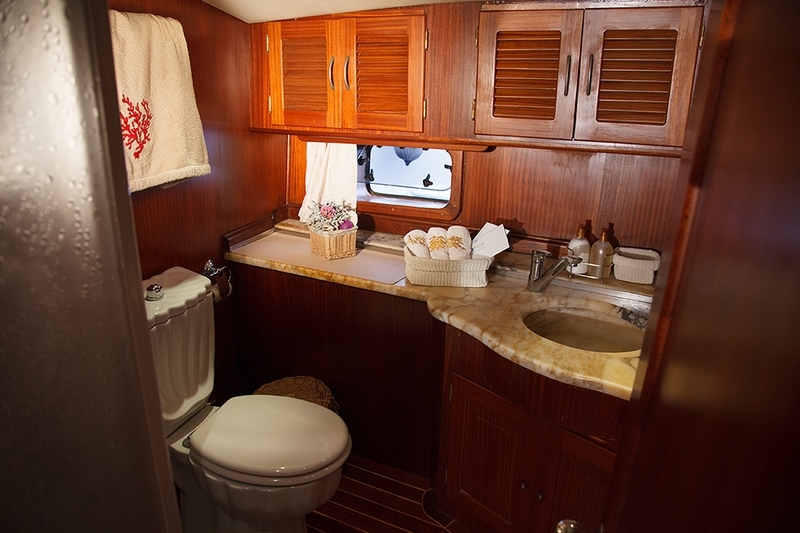 Pacha accommodates up to 8 charter guests on board so you can enjoy the luxury of 4 tastefully decorated cabins, each with a private bathroom, air conditioning and a safety deposit box. 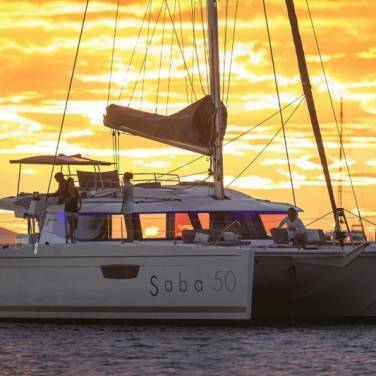 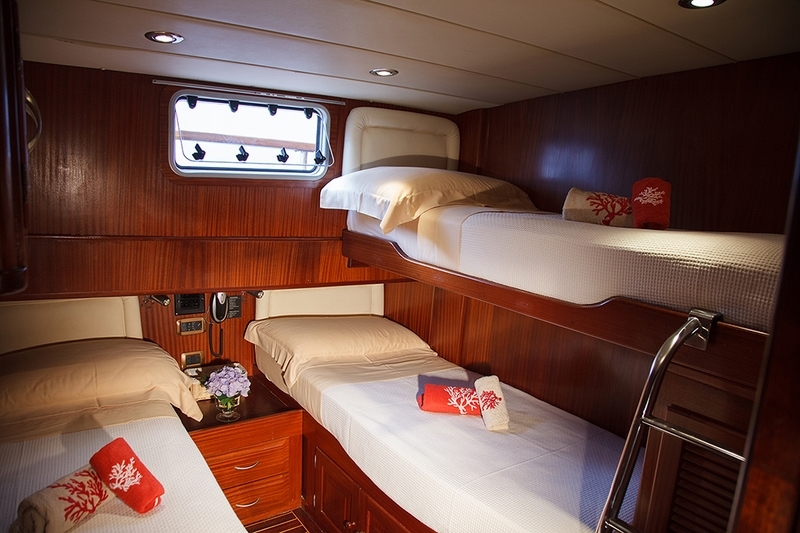 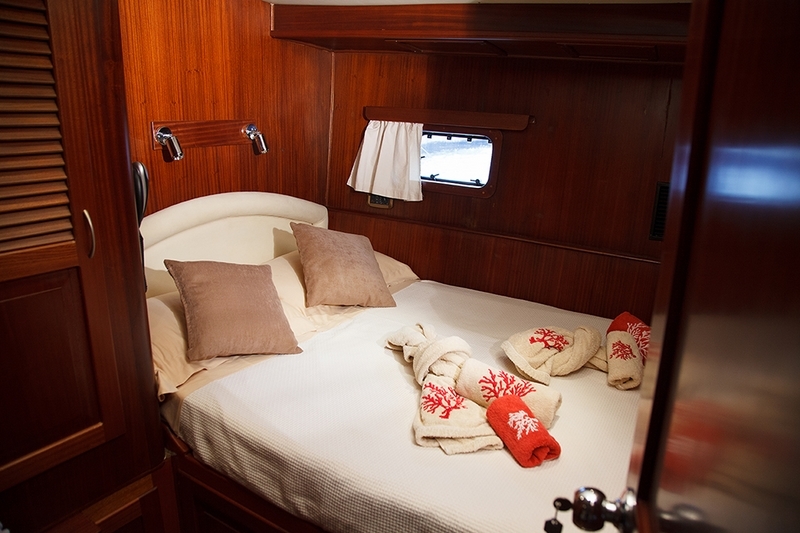 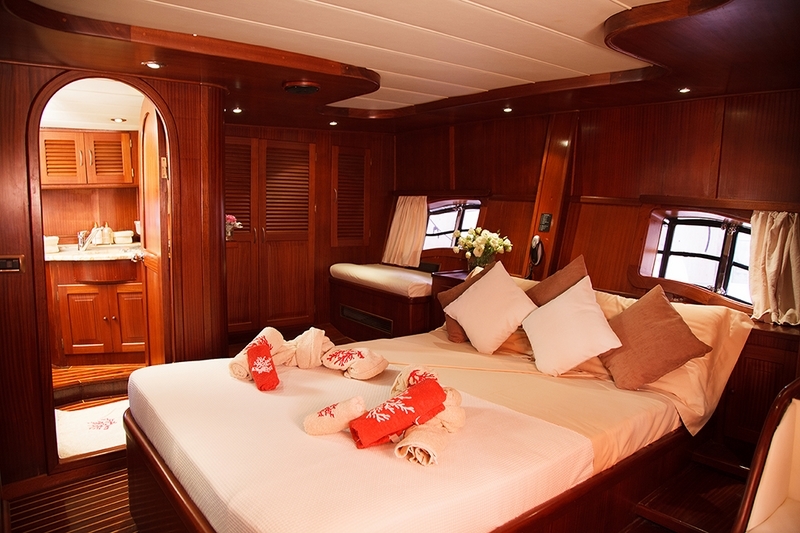 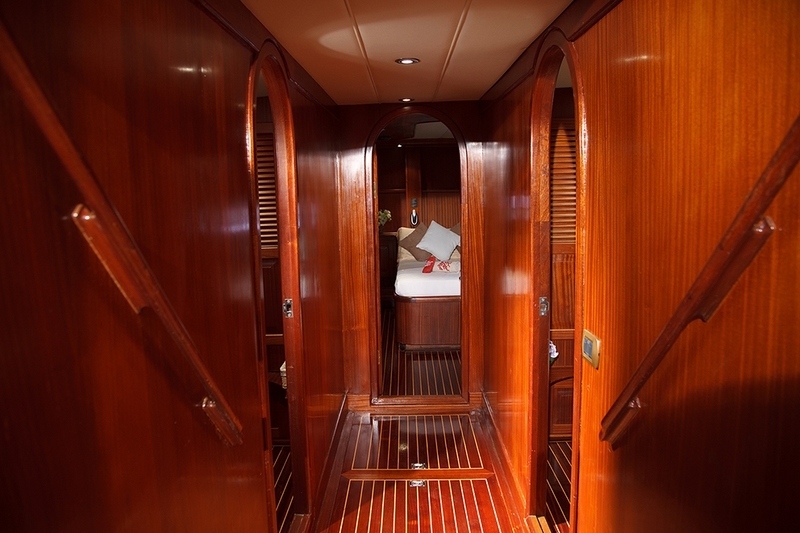 The guests can choose between a master cabin with a double bed, two cabins with double beds and one cabin with bunk beds and a single bed, all providing an intimate on -board experience. 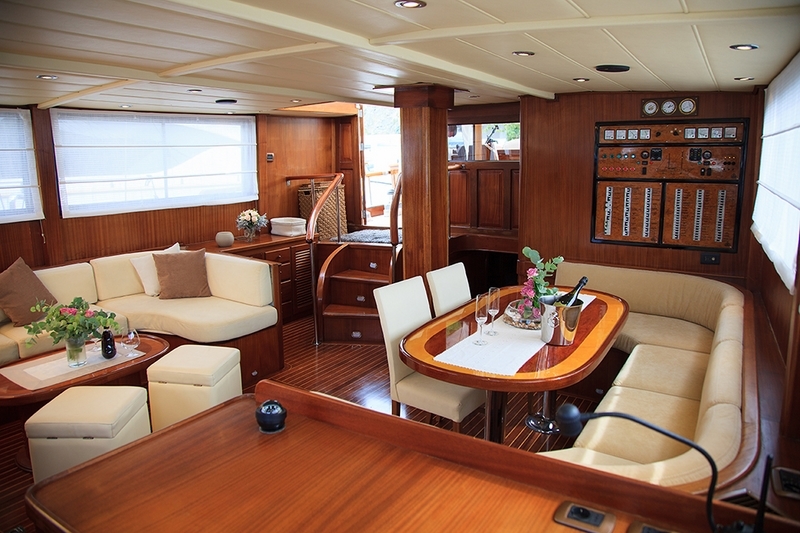 Inspired by the colors of the Mediterranean, the main salon is decorated in warm and subtle tones and features a large dining table, a big sofa with cushions, a small cocktail table, a TV and a stereo system. 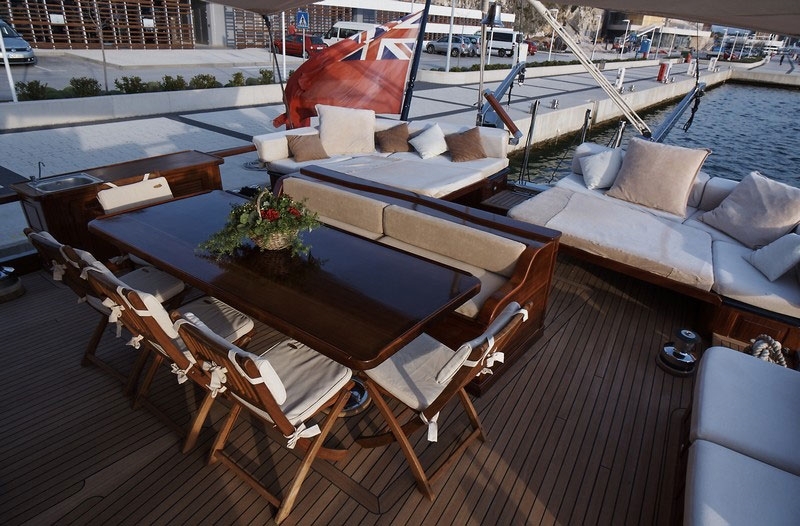 As a perfect counterpoint to the lovely interior, ample outdoor areas provide just as much opportunity for relaxing and entertainment. 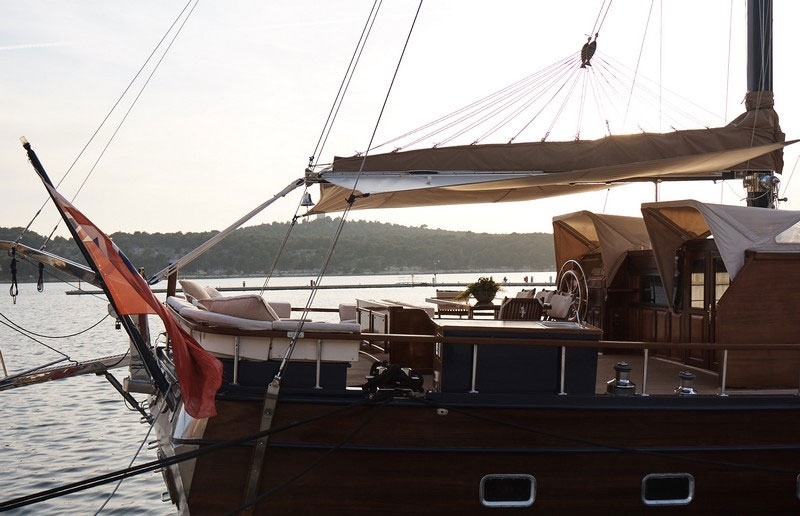 There is a beautiful al fresco dining area, plenty of sun mattresses and a cushioned sofa where you can enjoy your peace and quiet among the captivating vistas of the Adriatic coast. 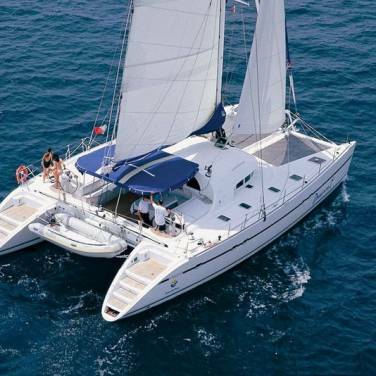 Those who crave recreation and excitement will also be content with a variety of water sports equipment such as wake board, snorkeling gear, kayaks and jet ski. 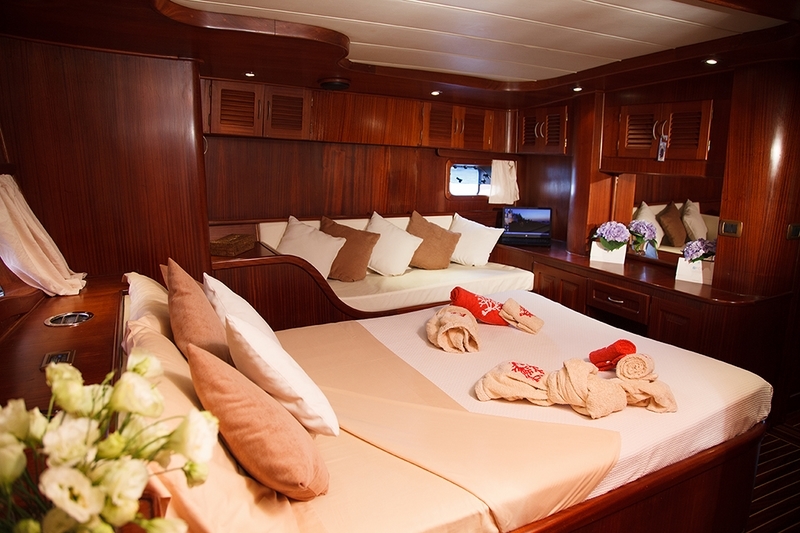 Since luxurious cruising is all about pampering, a professional crew of 4 are on hand to deliver a five star service and make your charter cruise as enjoyable as possible. 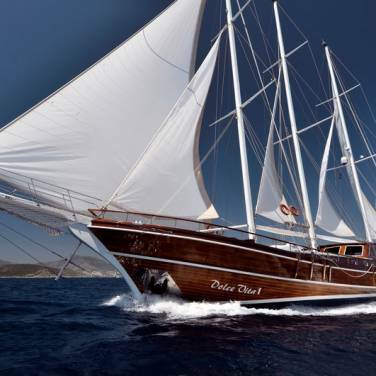 One of many advantages of a gulet vacation is that you can choose the sailing route that fits your preferences and arrange your own itinerary with the captain so don’t miss the opportunity to charter gulet Pacha and set sail for hidden treasures on the Croatian coastline. 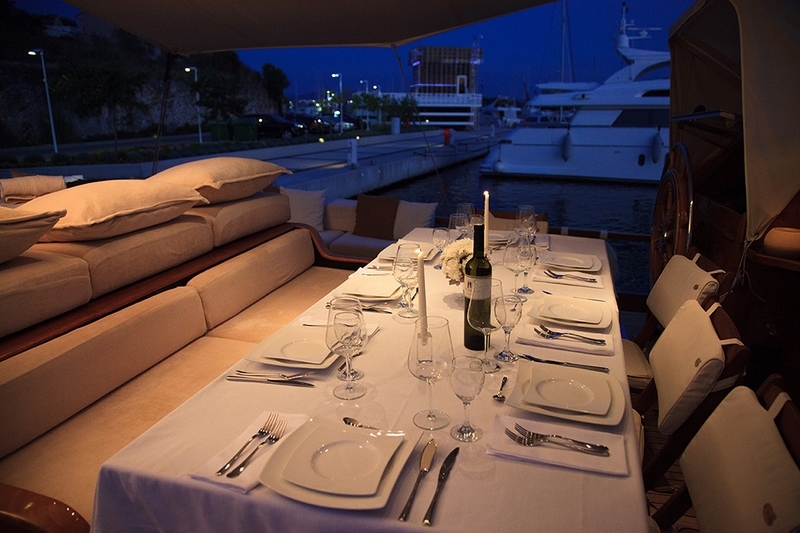 APA is paid by the Client in addition to the charter fee for all relevant costs for the yacht that are not included in charter fee. 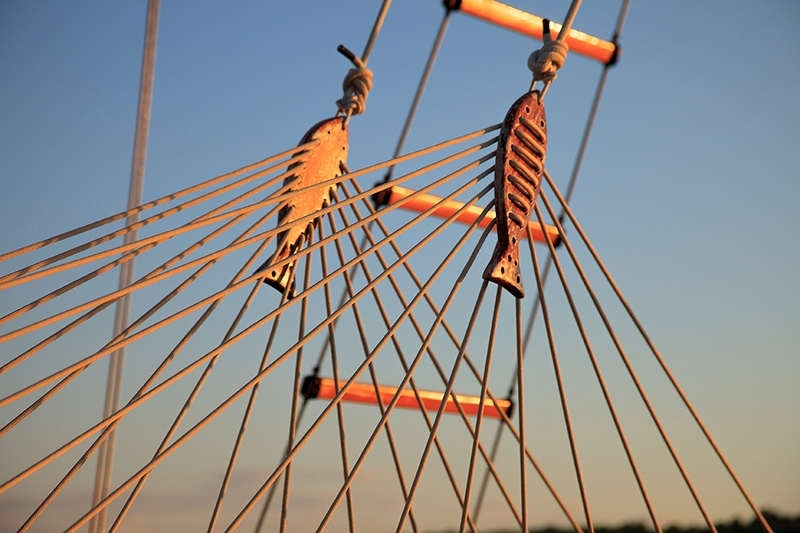 If APA doesn’t cover complete costs, Client will pay exceeding amount on board in cash. 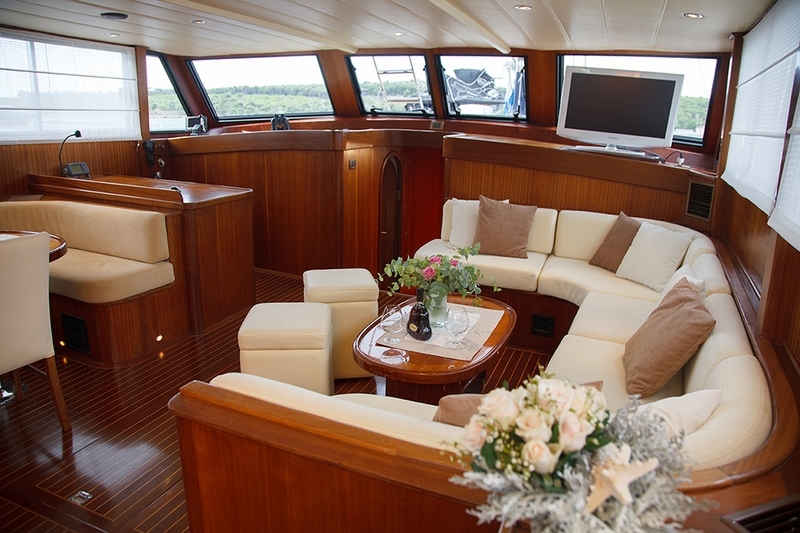 If costs made during charter are lower than amount given as APA, the amount that was not spent will be returned to the Client at the end of the cruise.